The Santa Barbara County Bar Association is a century-old nonprofit that is committed to improving the legal profession, their communities and the administration of justice in society. The organization supports cooperation between all areas of the law such as the bar, bench and governmental agencies. Their membership is comprised of 600 attorneys, judges, legal administrators, paralegals, law students and members of various other professions. They seek to improve public understanding of the legal system, the law and the system by ethically promoting education and discussion. In that, they advance the science of jurisprudence. 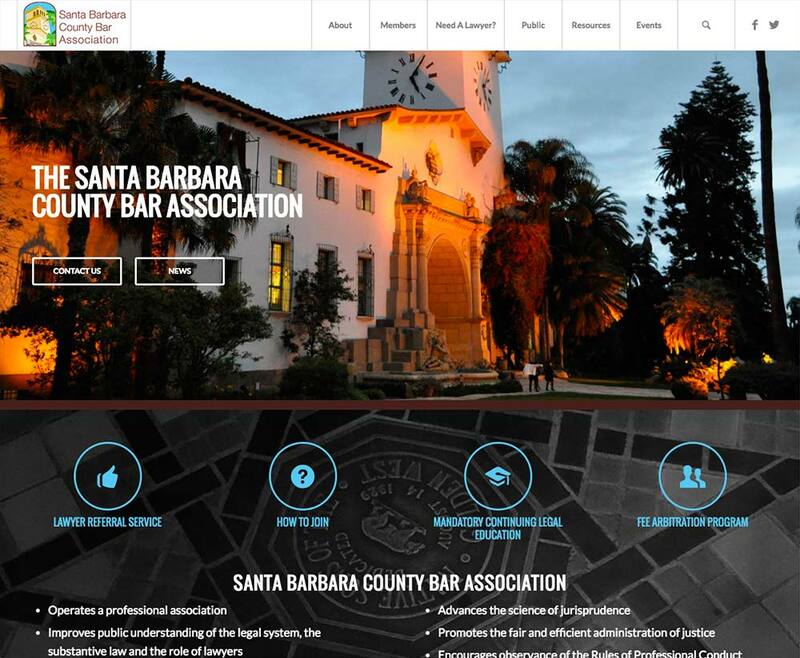 The Santa Barbara County Bar Association hadn’t had a website re-design in many years and were aware of their outdated platform and more than ready to join the ranks with a solid content management system wrapped in an attractive and appealing website. They found us via referral and it felt like we were a team even before we began.